Thoughtful, Thinking, Thrilling Third Grade! 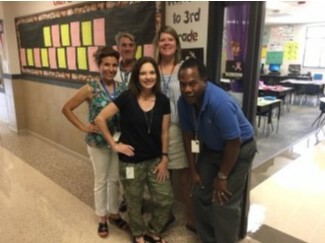 This Third-Grade team has a big task ... their students come to them as primary students and exit as 4th-grade ready-scholars! (L to R): Top Row: Tori Ketcher, Casey Lambert, and Becca Martini. (L to R): Bottom Row: Kelly Binz, Melissa Frazier, and Gary Brown.